Congratulations to Renee Lubosch on the addition of our sweet White Owl to her colorful fiber herd. Owl is one of Lord Tennyson’s sons and has the same incredible crimp and dense, soft fleece as all his siblings. Renee was able to take advantage of our pre-shearing sale and purchase Owl and his beautiful fiber, complete with free shearing. She came by to watch him be shorn, then loaded him up in her van for the short ride home. 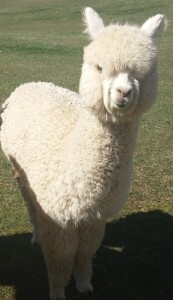 Shearing is over, but we still have some fabulous alpacas for sale. You can see our saleslists here, then plan a trip to the farm to meet them yourselves. 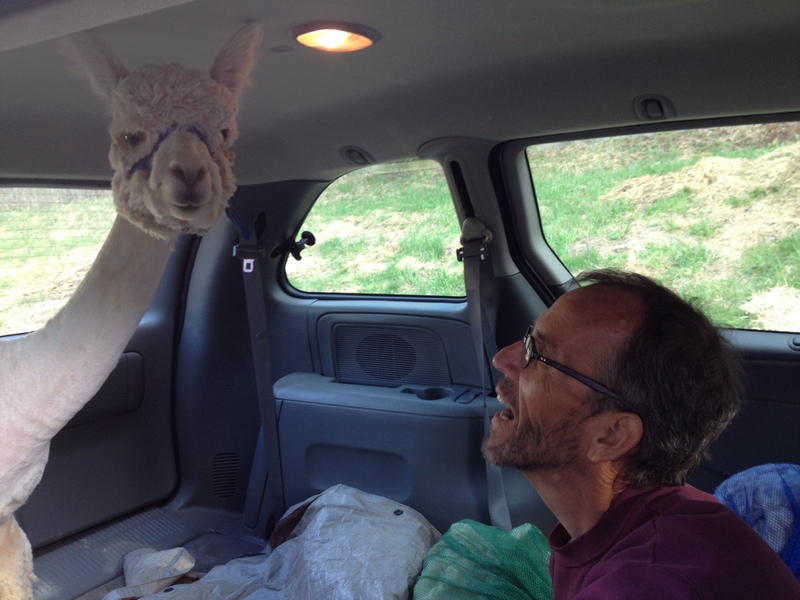 Give us a call, we love to talk alpacas.